Joyetech Cuboid 200w silicon skin Joyetech Cuboid silicon skin, hugs your device with care to prevent scraping. Made with high quality silicone rubber specifically for your Joyetech Cuboid, it feels great in your hand. Its beautiful and easy-to-us.. POP Collection - Harbor Breeze 50ml - FYT HOLIDAY SPECIAL: Buy one FYT (Free your Taste) product and get one free! Offer expires 15/1/2018 Indulge in a perfect balance of tobacco aroma and fresh mint undertone, reminding you of that summer bre..
Parrot Bite e-liquid POP 20ml A delectable blend of Rozaki grapes that marries the sweet flavour of honey dew melons topped of in refreshing mint. A flavour that’s instantly familiar yet wholly unique with this combination of summer fruits impriso.. POP Collection - Parrot Bite 50ml - FYT HOLIDAY SPECIAL: Buy one FYT (Free your Taste) product and get one free! Offer expires 15/1/2018 A delectable blend of Rozaki grapes that marries the sweet flavour of honey dew melons topped of in refres.. POP Collection - Red Breeze 50ml - FYT HOLIDAY SPECIAL: Buy one FYT (Free your Taste) product and get one free! Offer expires 15/1/2018 Add bright red ripe strawberries with a touch of malt liquor and mint undertone to compliment this mix. The..
Samsung Battery 30Q 18650 This is the original Samsung 30Q 18650 battery for use in electronic cigarrettes. Specifications Nominal capacity: 3000 mah Max Continuous Rated Discharge: 15 A Nominal voltage: 3.6v After a fresh charge: 4.2v C..
Tutti Frutti Concentrate Notes: Please make sure you mix it with a base liquid before vaping. (Check product Specifications) .. Size: 26650 Type: Li-Ni (High Drain) Nominal Capacity: 4200mAh Rated Capacity: 4200mAh Nominal Voltage: 3.7V Maximum Voltage: 4.2V Dimensions: 26,22mm x 65,11mm Rechargable: Yes Discharge Current: 20A Style: Flat Top Note: Rechargeable b.. 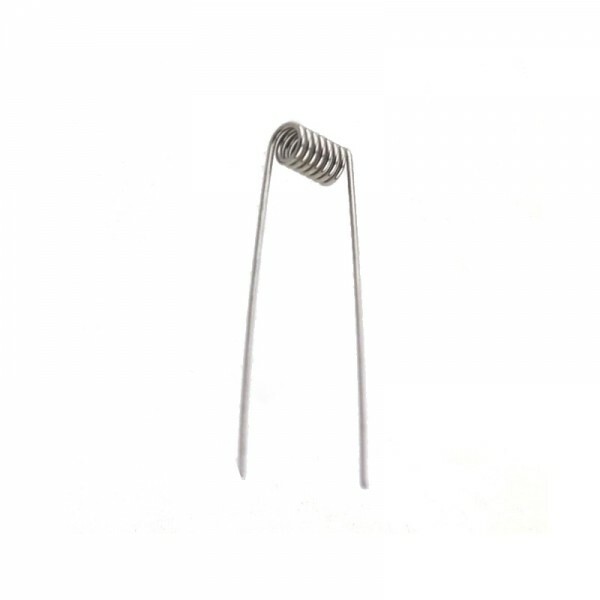 Size: 26650 Type: Li-Ni (High Drain) Nominal Capacity: 4200mAh Rated Capacity: 4200mAh Nominal Voltage: 3.7V Maximum Voltage: 4.2V Voltage Cutoff: 2.5V Dimensions: 26,22mm x 65,11mm Rechargable: Yes Discharge Current: 40A Maximum discharge ..
Eliquid France - Relax Relax - The captivating blend of Tobacco, Coffee, Cookies and Vanilla. Created By E-Liquid France in the Nieul Sur Mer region of France. Using high quality pharmaceutical grade ingredients. The ELiquid France Premium rang..
Eliquid France - Supreme Supreme - The captivating blend of Tobacco, Coconut, Cookies and Vanilla created By E-Liquid France in the Nieul Sur Mer region of France. Using high quality pharmaceutical grade ingredients. The ELiquid France Premium ..
Joyetech Cuboid 200 Having the glossy zinc alloy shell with its premium finish, the CUBOID 200 provides durability and reliability in its one of a kind style. Featuring 3 replaceable high-rate cells, it can be powered to 200W. The CUBOID 200 has a.. 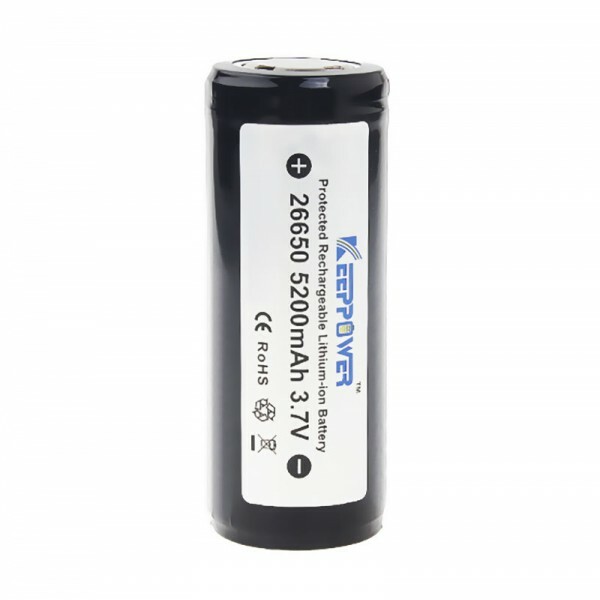 Brand: Keeppower Model: 26650 Battery type: Li-ion Battery Min capacity: 5100mAh (manufacturer rated) Standard capacity: 5200mAh (manufacturer rated) Voltage: 3.7V Protective board: Yes Recommended charge current: 1~2A Max constant discharge ..
Vivant - Alternate Stainless Steel Mesh 200 (For Chamber) Alternate Stainless Steel Mesh for the chamber of VLEAF ..
Vivant - Alternate Stainless Steel Mesh 200 (For top cap) Alternate Stainless Steel Mesh for the top cap of VLEAF ..